The manufacturer “Telic” produce portable GPS tracking devices for fleet management or detecting any marked object. Follow vehicle tracking or change of destination and use it for fleet management. If there are no wanted bands on our online catalogue, please inform us, we will do our best to supply qualified production for reasonable price. 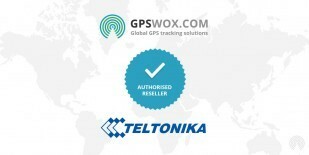 Telic GPS Tracker devices support GPS Tracking Software provided by GPSWOX. Do not wait and get your own Telic GPS Tracker device which support GPS Tracking Software.